The voice lines are in testing on the Overwatch PTR. A new Overwatch patch is on the PTR. It’s just a bunch of tiny fixes, but one of those little adjustments is actually pretty important—Moira has some new voice lines that will help keep allies informed. Two new voice lines have been added to Overwatch’s PTR for Moira, both of which are triggered when Moira runs out of healing juice. It’s not major, but it’ll come in handy for players that aren’t able to use their in-game microphone. Moira’s healing resources run out as she uses them, while allied players spam the “I need healing!” button begging for Moira players to save them. 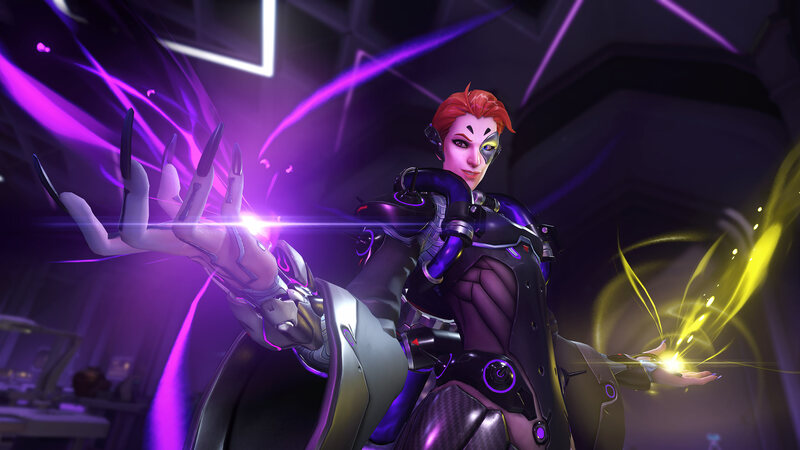 The voice lines—”I need to recharge” and “not yet”—let allied players know that the Moira isn’t intentionally ignoring calls for healing; she literally can’t do anything until her resources are recharged. This change, and a few other minor adjustments, are in testing with a major Overwatch PTR patch. With the Moira tweak, Blizzard also gave Brigitte a consistent friendly ultimate line, “Rally to me!,” so that players will know exactly when Brigitte uses her ultimate ability. The earlier patch buffed Reaper and Mei while nerfing D.Va and Zenyatta. Blizzard also added an “Avoid as Teammate” button that allows players to, well, avoid playing with certain Overwatch players. None of the changes are final just yet, as with all PTR patches. Blizzard has not commented how long these adjustments will stay on the Overwatch PTR.